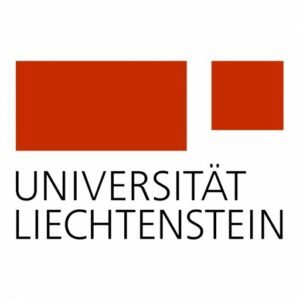 The Universität Liechtenstein (University of Liechtenstein) is a leading university in the international Lake Constance region. It is a place for personal development, interaction as well as critical and creative thought, and a hub of innovation for shaping the future. Education and research meet the highest international standards. The University of Liechtenstein is defined by entrepreneurial leadership applied to all levels and areas. We support talented, motivated and independent young people in their personal growth. It is our strong belief that besides the ability to think analytically and creatively, our graduates should also improve their communicative competence and acquire skills beyond their specialist knowledge. This is why we supplement our study programmes with courses in the humanities and social sciences, in order that students can apply their specific expertise to wider cultural and social contexts. Our research focusses on the two disciplines of Architecture and Planning, and Business Economics. We concentrate on selected priority areas of research that are developed in our institutes and centres. We adapt swiftly and flexibly to developments in research and the needs of the employment market. This is essential in order to attract outstanding international students and top researchers to our University. We ensure that the education we offer – both in terms of content and didactics – continues to reflect the latest research findings. The quality of our curricula is regularly assessed and improved upon. Research at the Institute of Architecture and Planning is concerned with sustainable building culture and spatial development both in the region and across the world. In Business Economics, we examine topics of international interest and regional significance. Our research results achieve great international recognition. We use our high standards of quality in education and research to expand our programmes of continuing education in close cooperation with business and the professional world.